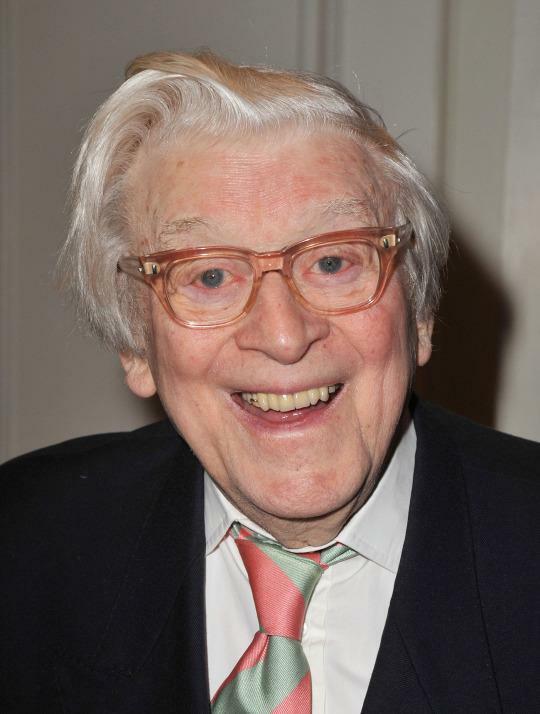 Jimmy Perry is the legendary co-creator (alongside David Croft) of ‘Dad’s Army’ – perhaps Britain’s most beloved sitcom. Following the new film version, which stars Toby Jones, Michael Gambon and Bill Nighy and is out now on DVD, we spoke to Perry about his incredible career. He told us why the original TV show worked so well and revealed his love for ‘Mrs. Brown’s Boys’. 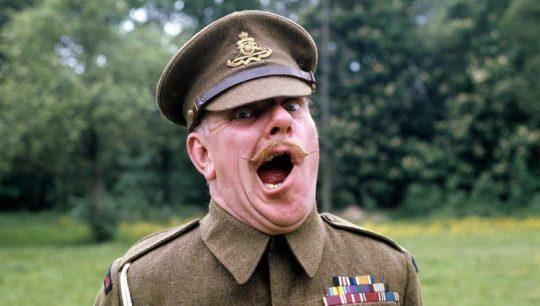 Perry also gave his opinion on why one of his other hit sitcoms – the 1940s Burma-set ‘It Ain’t Half Hot Mum’ – is now no longer repeated on TV. Hello Mr. Perry, how are you? Jimmy Perry: First of all let me tell you, I’m not a reactionary. I’ve been in show business all my life. David Croft and I used to write by hand then we got it typed up and that was our stuff. Things have moved on, but I don’t mind things moving on. I’ll tell you something, I do not criticise writers or comics or anybody. Perhaps it’s because I had a few nasty critics in my time! 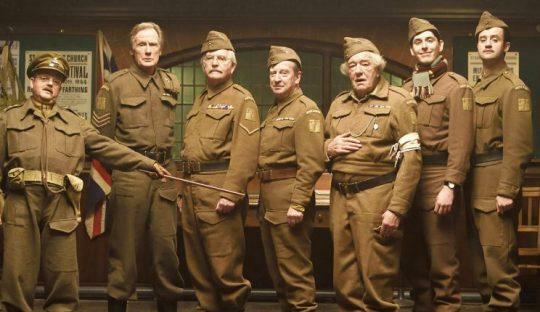 What did you think of the new ‘Dad’s Army’ film (pictured below)? I’ve been rather ill lately but I’m back in action again. It was difficult to get to the premiere theatre in Leicester Square but I made it and I thought it was excellent. It approached [the show] from a new angle. All the new actors – everybody put on a good show. There was a new take on it and I absolutely loved it. 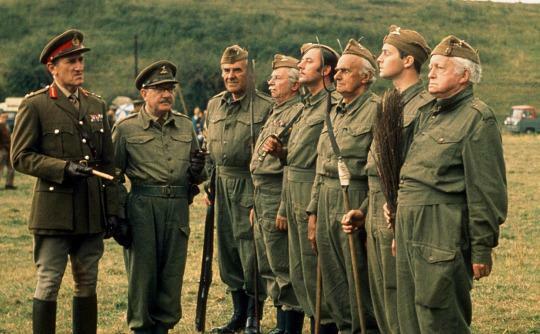 Would ‘Dad’s Army’ get commissioned by the BBC today? It would. The BBC has a broad attitude. I think ‘thank god for the BBC’, but I’m not keen on certain angles of comedy shall we say. Why are you a big fan of Mrs. Brown’s Boys? I love it! It’s got action. It’s got laughs. It’s real. I love it when people discard rules. Isn’t it marvellous? They’re playing a scene, and the camera comes into shot and the character says ‘sorry get out of the scene, I’m acting’. I love it when they do these outrageous things. You’ve got to have guts. Why does it get bad reviews from critics? It has bad reviews because it has no inhibitions. Critics don’t like programmes that do strange things. life, meeting people, working with people. Certain people get the wrong end of the stick. Who stops them? It’s censorship. It’s wrong. ‘It Ain’t Half Hot Mum’ was of its time. I don’t take notice of people who say ‘oh, it’s racist rubbish’. I know quite a lot of real Indians who love the show because it showed the truth. Do you think sitcoms were better when you were making them in the 1970s? It’s like putting your head on a block doing sitcoms these days. When we made our shows, ‘Dad’s Army’ for instance, we had an audience, around 60 people. People came in and on comes a warm up act who says: ‘I’m a comedian, I’m going to guide you through tonight’s load of old rubbish’. They’re not expecting you to say that! Don’t be afraid to put yourself down. That’s what I like about ‘Mrs. Brown’s Boys’. We play the action in front of the audience and we have the laughter. What is happening now with sitcoms is that there’s no laughs. What I can’t stand are shows that have laughs dubbed on. It’s wrong because if the actors are working in front of an audience they will time their own laughs, they time the lines with the audience laughing. That’s what I call discipline. We also made ‘Dad’s Army’ very quickly. Don’t hang about. We had actors – most of them had worked on the stage. So you have stage actors, being in the studio, in front of an audience. This transmitted itself onto tape. It made it real and this was transported into the home. You wrote some classic sitcoms, but are there any shows you did that you remember less fondly? Many, many years ago I did a show for Thames Television [called ‘Room Service’]. I was seduced and they asked me to do a show about window dressers – it was ridiculous, but anyway I did it. We did the pilot and at the end when the audience had gone, the producer said – because it didn’t get many laughs – he turned to a young girl in the crew and said ‘what did you think?’ She said: ‘it wasn’t very funny, there weren’t any jokes in it’. That was a lesson to me; never use jokes. If it’s not truth, it’s not worth doing. I never use jokes; it’s character, attitude and situation. ‘Dad’s Army’ is available to own on Digital HD on 30 May and on Blu-ray & DVD on 13th June. What Happened To The Boy From The Omen?